Near Miss or Near Hit? Which Do You Prefer—and Why? Some say near miss; others say near hit; still others prefer terms like incident, event, and failure. And still other people use other terms. Some might think it’s a meaningless point or simply a semantic issue. Others think the specific term we use for this is very important, however. In this article, we provide an interactive, online poll to get your opinion and get the opinion of the larger community as well. Take a moment, tell us what you think, and see what others think, too. So what term do you use? Let us know using the poll below. We DEFINITELY appreciate your having used the poll. And we hope you found having to think about your answer instructive or maybe even seeing how others have answered the question. But in addition, please use the comments section below to tell us more. Do you use a different term we didn’t include in our poll? If so, let us know what it is. And, equally importantly, why do you prefer one term over the other? Or do you think it’s a tempest in a teapot? Either way, please use our comments section below to sound off. 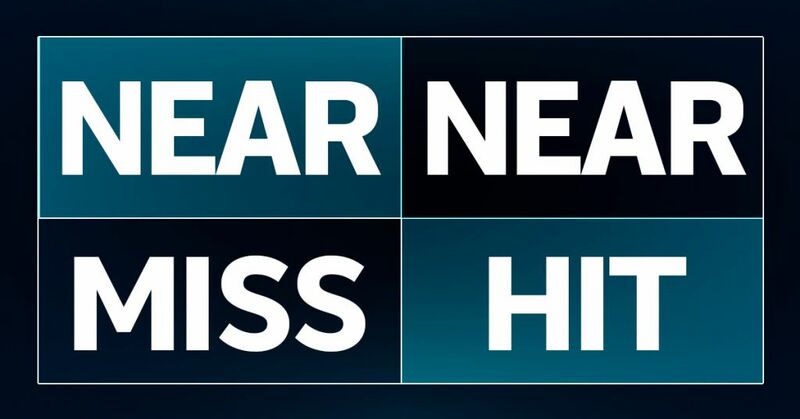 Our production department used the term “near miss” when they created our online training course about best practices for near misses at work. We’ve provided a simple video, below. Conclusion: Near Miss, Near Heat–Meaningless Semantic Debate or More? Thanks for using the poll, checking what others have to say, and leaving your comments below (please do!). We’ll catch up with you again soon. Until then, feel free to download the free Job Hazard Analysis Guide below. 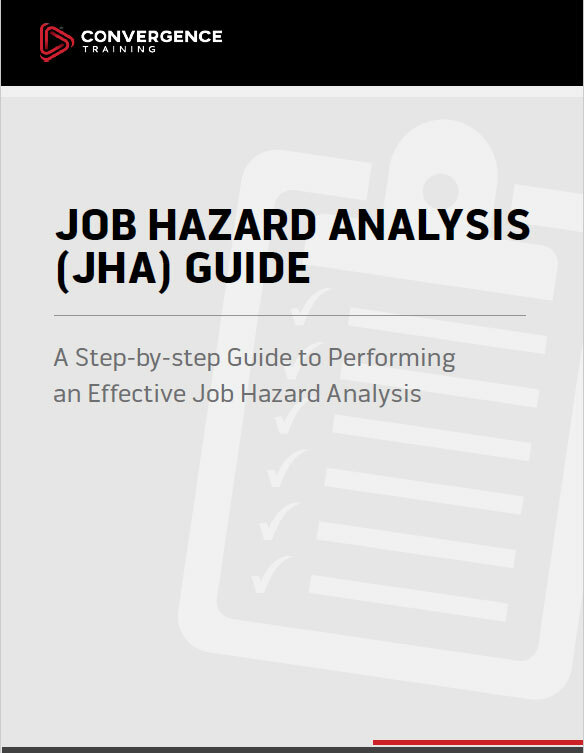 Learn how to perform a job hazard analysis on the job with our free step-by-step guide. Near miss is almost every where, this is a common term used for defining near miss. Sohail, I agree. It seems “near miss” is the most common phrase for this. Of course, that leaves open the issue of whether or not it’s the best to use. I use the term “Deviation” since all Work Instructions and / or Work Procedures follow a logical or linear pattern. When an unwanted event, near miss or near hit occurs it is an indication that there was a deviation in the work/task pattern. Personally I feel that it makes the Root Cause Analysis easier to trace when one knows where a deviation occurred. I prefer incident as it covers everything and employees don’t feel threatened or blamed. It can still be further defined as injury, lost time equipment damage etc for tracking purposes. By not pointing fingers so much it will encourage reporting so problems are discovered resulting in the ability to handle which should be the ultimate goal. near miss is very common in every safety organization. and any safety books and different training..
Zaldy, you’re right, that’s a very common use in industry. Ah, I didn’t anticipate that one. Good one. Jeffrey, I chose Incident. Folks should treat those Near Misses, Near Hits, or Close Calls as Incidents, and investigate them. I agree it is hard to get away from Near Miss as the term most commonly used. Many organizations are calling them Near Miss Incidents. Near Hit Incidents might be more accurate. I like Mr. Rob Jorden’s point to further classify them with their potential consequences to raise more interest for follow up. Would all of you jump off a cliff if everyone else did? There is no such thing as a near miss. In any incident you either do or don’t there is no maybe. You either hit something or are hit by something. A miss is a miss no matter how close. A miss is a zero incident, no injury, no damage. It is a human condition to have the need to title or label something like that. “Near miss” is a misnomer, Wow that was a “close call” or do you say dang that crane nearly missed me or do you say wow that crane nearly hit me. If it doesn’t make sense in a sentence like this than it makes no sense as a two word slogan. Roger, thanks for the thoughts. On the issue of the phrase “near miss” being a somewhat illogical combination of words, I think a lot of people agree with you. I think that’s the argument behind switching the phrase to “near hit,” since the person was nearly hit, not nearly missed. I think some argue that there is value in noting if something nearly happened instead of just seeing it in a black/white, do/don’t, incident/no incident manner, though, with the thought being that if we identify near misses (or near hits), we can see what led to them and perhaps apply some form of corrective action so it doesn’t contribute to a real incident in the future. Thoughts about that? Hi Jeffrey. In my opinion the context of “Near” in the phrase “Near Miss” does not refer to nearly but rather close. It is not a nearly miss but a close miss. Therefore Near Miss (in my opinion) is the correct terminology. An incident is an unplanned event that either results in injury, illness, or damage -or it doesn’t. I use Incident for many of the same reasons given above. What do other cultures call it ? Good question. I don’t know the answer. There’s a reason we don’t call “life insurance”, “death insurance”. Although it should be called death insurance by definition. People dont like it and so, in order to sell the insurance they called it life insurance. An argument based on semantics/emotions. There’s some validity to that, I’d say.